Received within a week. All are workable. Good. The float feels good. Solid. Haven't try yet. Will use soon. Delivery is fast but the box was torn when it arrived. Lucky is for myself and not meant as a gift. Delivery time is okay. Item well received. Yet to pump it up. Thx! I tried calling the store many times but nobody pick up. Please advise if I can buy now and collect by today. Thanks! Hi I received the float on sat. Try inflating it and leave it for hours. And it deflated by itself. I want to get it change. Do get back to me asap it's it's for a holiday. Dear customer, Apologise for that, please send us a clear picture of defect (example hole), thanks. I Want an exchange for my spoiled pump and float..
Apologise as seen in your picture the float was already used. thus item could be used and damage during this few weeks (im not accusing, im saying there may be a chance of that happening standing from our point of view). We will not be able to exchange a new piece over, however can send a repair kit for you to repair it. For the pump, did it work intially or stop working after? Firstly, not saying anything hurtful, do you think once I get it I will pump such a huge float in my house? I have to bring it overseas and pump it outdoor which is wet floor, dirt confirm will stick to it. However, sending the repair kit is kind and nice of you but does it match the float white colour? And does the repair kit will definitely repair it? The pump when I on there sound and cranking sound but no air is coming out..
its transparent. yes can be repair. The pump we can take back and check under the cctv, will need to dismantle the whole item to check the inner part. If its manufacturer defect, a new one will be replace with delivery fee bear by seller, however if its overheat or buyer damage during usage, we will not be responsible (including the delivery fee to send back to us for checking). We will dismantle the pump under cctv video recording. if its overheat or buyer usage issue (there will be blacken/ melted etc if its overheat/ buyer damage during usage). did u manage to pump the float at all initially using this pump? Do send the repair kit over n there instruction on how to do it? And can’t be repair what is your solution. Cause I have yet to use the float at all. There is no instruction, just applied the gel (like glue) and stick the round repair sticker over. we've repaired one before and no issue, we cannot confirm the same if its repair by the customer itself as we did not see how the other party do it. but it should not be a big issue (not hard to do it). alternatively if u want us to do it for u, you can bring to our warehouse for that. which do u prefer? How much is your courier service to send it up and back? Delivery 1 way is $4. 2 way $8. Ok, can you get the arrangement for me for both ways. Also if the pump is spoilt by me, can I get a new 1 and payment by transfer and ask the person to send it back together with the float? yes, we will dismantle the pump in front of cctv. if its overheat or buyer usage issue (there will be blacken/ melted etc if its overheat/ buyer damage during usage). No exchange for that. we will inform courier to pickup item back from u.
I do not have printer to print out and stick to the box. I receive an email asking me to print out. u can just write the number on the exterior packaging. pls put both float box and pump into a packaging, example paperbag or plastic bag. courier will not collect loose items. Ok noted, when is the person coming to collect? I will be overseas my brother will be home to pass him the parcel. Please also took a photo of the float once inflated with the repair thank you..
Qoo10 qxpress courier will contact you, thanks. Ask them call this number 90239248. Please also took a photo of the float once inflated with the repair thank you..
apologise courier will contact the order details which is 9674-0224. Then can u ask them to call me on the 19th or 20th March. For collection..
We do not handle the return process. 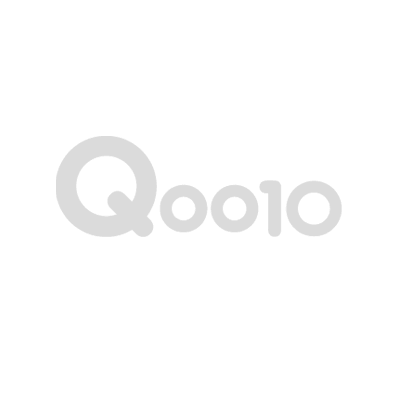 Qoo10 will aliase with qxpress for return pickup. and if customer is not in or not answering calls, qxpress will cancel pickup. if that happens, customer will need to inform seller, and seller will inform qoo10. thanks. will forward to qoo10. thanks. Please send me photo of the inflated part that you repair. Thanks. after repair, we will take a picture of inflated float. thanks.